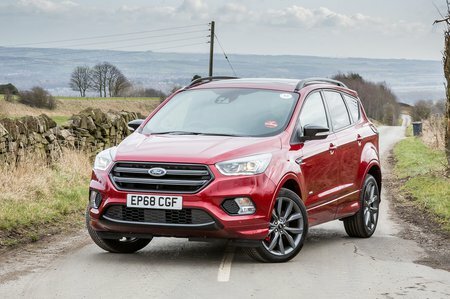 Ford Kuga Titanium X Edition Review and Deals 2019 | What Car? Adds xenon headlights, 19in wheels, leather seats, a 10-way electrically adjustable driver's seat, heated front seats, and a panoramic sunroof to the Titanium Edition. Too expensive to recommend, though, and the 19in wheels affect the ride and the sunroof robs head room.